Our latest addition to our growing Tiki Toes products! 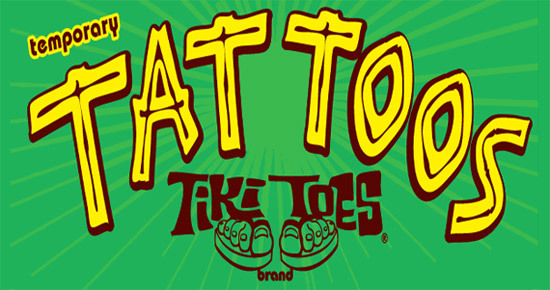 Tiki Toes temporary Tattoos! Safe, non-toxic, applies & removes easily. 'Eh, show your spirit of Aloha!